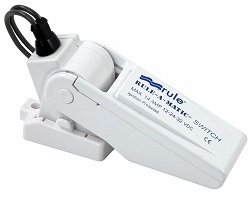 A float switch is a simple switching device which gets triggered when it is being lifted by the water/liquid. The float is designed to be less dense than the liquid, allowing it to float up when in contact with the liquid. Please click on the images to the respective product links. A magnetic float switch is one of the most popular float switches in the market. It is simple and easy to install. The sensor has a minimum number of moving mechanical parts compare to other float switches, which means the probability of sensor failure is lesser. 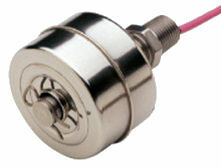 The magnetic float switch uses a reed which is typically very small in size. The floating compartment is inserted with a small and strong NEO magnet. When the magnet is close to the reed switch, the switch will make a contact (activate short circuit). The entire sensor can be small in size and light in weight because of the small component used. If the liquid in the water tank requires cleanliness or hygiene, there are stainless steel water level float switch available. For simple water tank application, a plastic version is good enough. If you do not want the sensor to be in contact with the sensor for potential contamination happening, you may like to consider using an ultrasonic water level sensor instead. One disadvantage of this magnetic float switch is that you cannot use the switch itself to drive a high current load. The most current you can drive through this sensor is probably about 100 to 300mA. If you need to drive a high current device using this sensor switch, you will need to interface it with an additional relay. A mechanical ball float switch consists of a weighted ball and a micro switch built inside the housing. When the water level reaches the sensor, the sensor will start to float upwards. This upward position will roll the ball downwards with the help of gravity. When the ball rolled down, it will trigger and depressed the microswitch inside the sensor housing. Suitable to be used in a large tank or big ponds/rivers. The sensor is usually bigger in size due to its trigger mechanism. The micro switch is bigger in size and is able to drive a higher current load (small motor) without using external relay interface. Due to its dangling wire design, the sensor need not be secure at the required water level height. This is unlike the magnetic sensor as introduced earlier. This sensor can be pivoted to the side or bottom of the pond. When the water level reaches the height, the sensor will float up and the micro switch (dry contact) will be triggered. 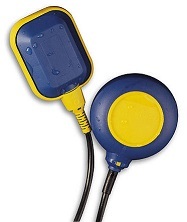 This is a bilge pump float switch which is a commonly used water sensor inside a boat yacht. Float water inside the boat hull will trigger this sensor. The sensor will run a bilge motor to pump the trapped water out of the boat/yacht into the open sea. This bilge pump is specially designed for the marine industry. The material used in this sensor resist better under in a corrosive sea environment. There are many different types of water level sensors technologies available in the market. For an overview of many other sensors technologies in a table, click to visit the water level sensors comparison page. You can also check out the water level sensors for other technical details.